Serving the Front Range since 2006! We care about giving our patients quality dental care. Follow the link below to learn about our values. We have some amazing clients. Follow the link below to read our customer testimonials. 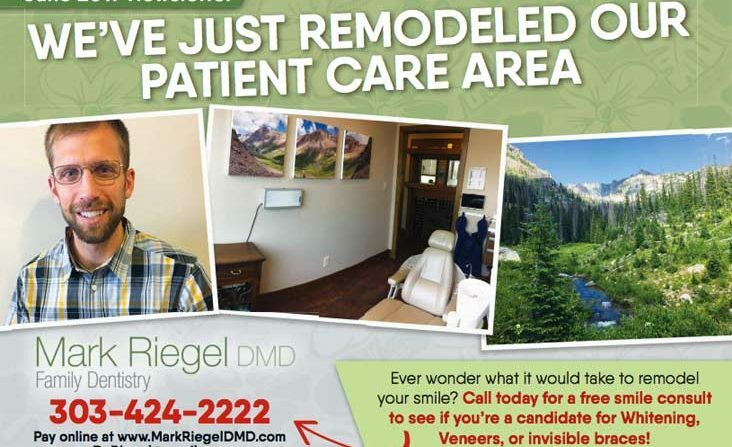 Learn more about what's happening at Mark Riegel DMD Family Dentistry. We pride ourselves in providing a wide range of dental services to our clients from cleanings to dental implants. We make beautiful, strong, all porcelain crowns and bridges utilizing computer assisted shade matching and CAD/CAM technology. We utilize white filling material for new or replacement fillings so it will blend with one's natural teeth. In combination with our team of local surgeons, we offer natural looking implant crowns and bridges to our patients. We then continue to help maintain and monitor their implants' health for years. All dentures and partial dentures are made with the strongest and most esthetic materials, and we customize them to each patient's unique smile. We have an amazing staff at Mark Riegel Dentistry. Get to know them more! Dr. Riegel graduated from the University of Kentucky in 2006 and immediately began working in Arvada at this office. 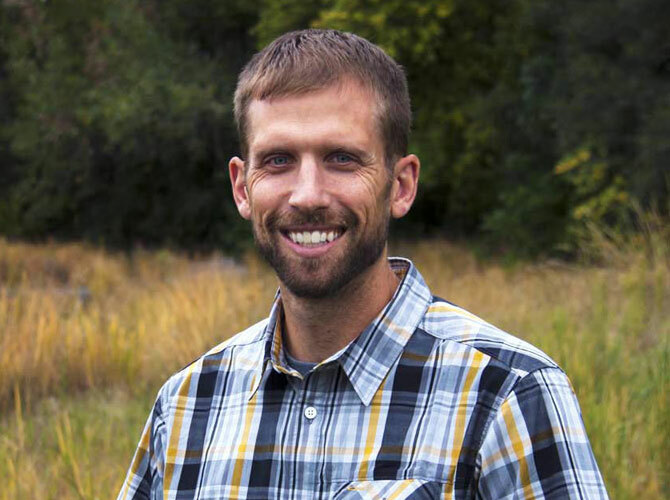 Dr. Riegel and his wife Laura have two children, who they love to camp, hike and enjoy the Colorado outdoors with. Dr. Riegel has established his dental practice to focus on delivering care in a personal and conservative manner while helping people get affordable care. Brianna is a native Coloradoan. 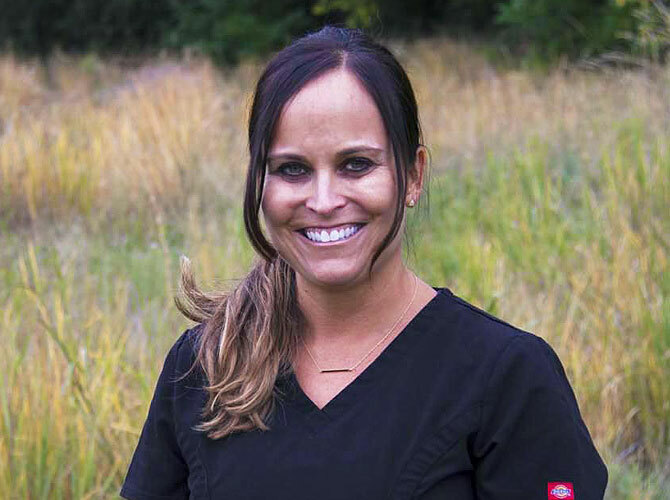 She has been practicing dental hygiene since 1997 after graduating from the University of Colorado. She has 2 children at home, a boy and girl. On her days off she prefers to be outdoors snow skiing or at the lake water skiing. Barb is not only a native Coloradoan but also a native to Arvada. 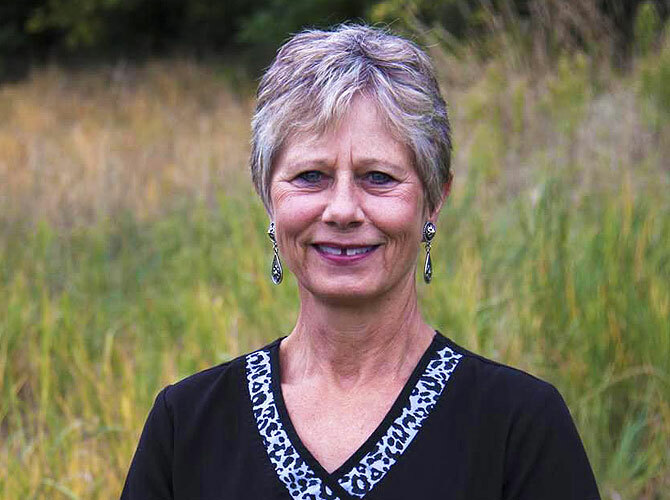 She began working with Dr. Riegel after 25+ years with Dr. Bill Green. In Barb's spare time, she enjoys spending time with her son and granddaughter. She can also be found caring for her yard and historical Arvada home. Lynette is a transplant native of Colorado. She grew up in Nebraska and moved to Colorado in 1973. 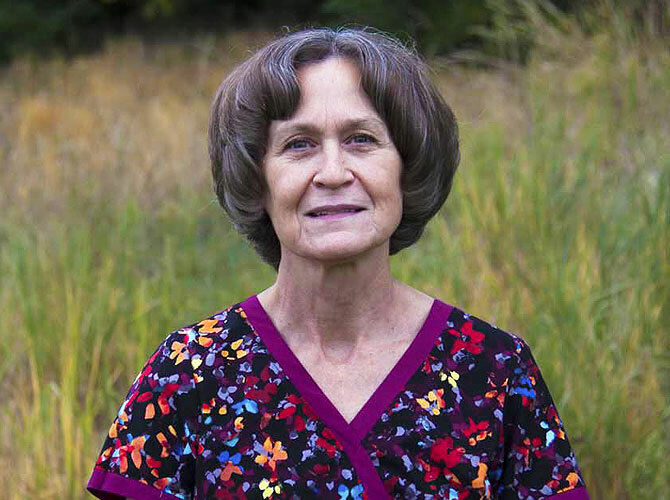 She has been the front office manager at this dental office since 2000. Reading and quilting are a couple of her favorite hobbies, when she's not busy keeping the staff in line. Stay up to date on our latest happenings! I have had a lot of dental work. As a kid, back in the day, the dentist told me that I had "pits and grooves " and that was the cause of numerous cavities. Over the years after some extractions, braces, fillings, Botox and a crown, little did I know that this was going to be a journey of maintenance. Dr. Riegel, Brianna, Jamie, Barb and Lynette have made this process a breeze. I used to get freaked out at the thought of going to the dentist. On the other hand nothing feels better than a super clean, healthy mouth! Dr. Riegel and his staff get me through the process anxiety free. My teeth look and feel better than they have in years. It's amazing to me to look at my new pearly white fillings that feel wonderful. Now I can't wait to go back in a couple of months and get them all cleaned and polished. It's great. And I would recommend them to anyone! Dr. Riegel cannot come more highly recommended. If you do not have a dentist that you confidently trust to take the best care of you and your teeth than you should book an appointment to see Dr. Riegel immediately. Dr. Riegel and his staff highly value honesty and clear communication. I've been to dentists that have used scare tactics endorsing far more aggressive treatments than necessary. Dr. Riegel is always straightforward while suggesting the best and least invasive procedures to meet my dental needs. Dr. Riegel's approachable, kind and honest manner makes me feel comfortable and keeps me coming back. On top of it all, the staff is friendly and thoughtful towards their customers. Personal touches like receiving a newsletter and gift cards for referring friends just add to a overall great experience. Dr. Riegel has been our dentist for over 7 years. We are grateful for his high quality dental care and give him our strongest recommendation. Dr. Riegel’s staff is professional and courteous making our visits to the dentist a pleasant experience. 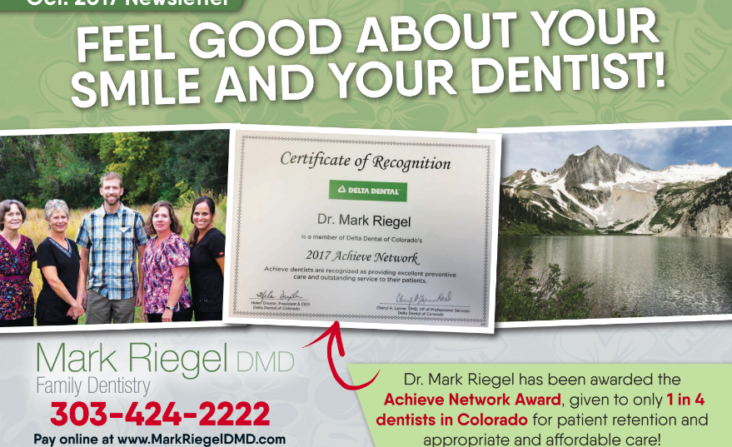 I started going to Dr. Mark Riegel for my dental needs after a swath of bad experiences with other dentists. Specifically, these experiences related to my inability to fully trust that the dentist would first do a good job on my teeth, and second would be honest about what truly needed to be done on my teeth. That said, upon entering Dr. Mark Riegel's office, I felt an ease and confidence in his ability to address both of these concerns. This trust I had in Mark and his staff truly made the otherwise uncomfortable experience of going to the dentist, an enjoyable one. Dr. Riegel has been providing my dental care for over five years. During that time I discovered that both his technical expertise and relaxed chair side manner were superior to that which I received from a former expensive “boutique” dental practice. His staff always provides a warm and welcoming atmosphere. Dr. Riegel is very conscientious about his treatment of patients, and continuously explains what he is doing to diminish fear and stress that so many of us have during dental procedures. 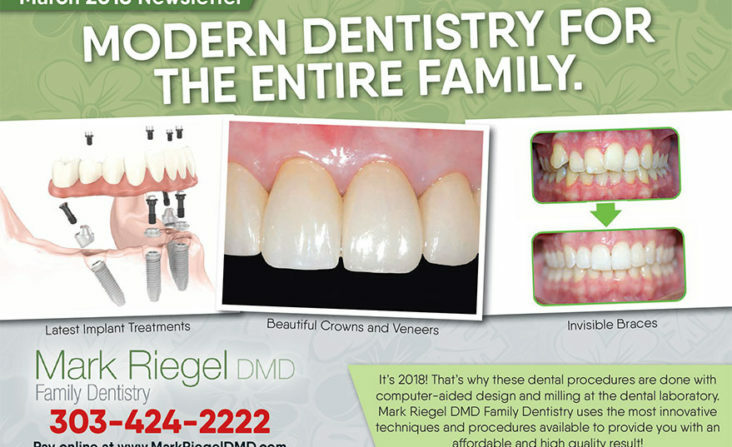 There are certainly many dentists available within ten minutes of my home, but I choose to drive about 45 minutes because Dr. Riegel is worth the extra time. Have questions or want to make an appointment? Please email us or call us at 303.424.2222.